wraps up on 6th Street between Court & Grand. larger view. There is plenty of on-street parking within 2 blocks along most of the route. 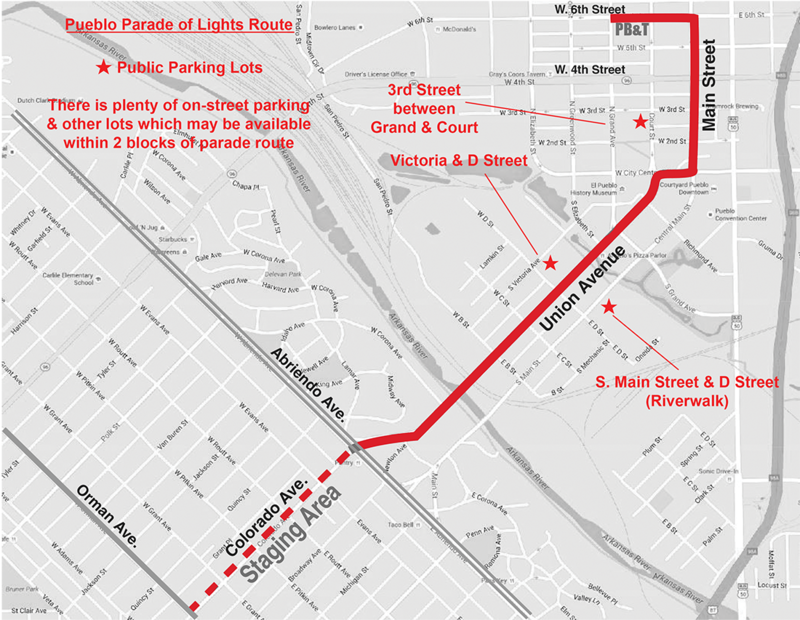 Other lots near or along the route may also be available. 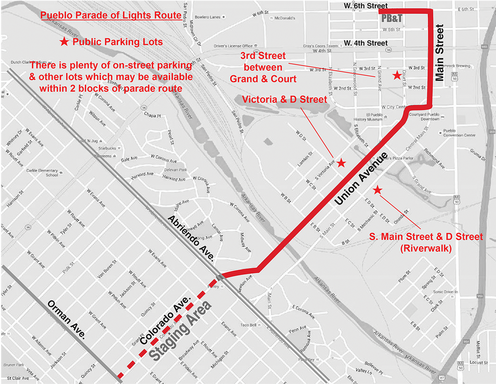 Note: Route, rules and other parade information are subject to change. Use this form or call 543-7155.